After the holiday season in 2017, which ended the beginning of January 2018 the retailers are preparing for the next big shopping fiver - St. Valentine’s Day. The online retailers need to ensure their websites are up and running 24/7 during the Valentine’s shopping period and their loading times are lower than ever. In 2017, nearly 54% of the Americans celebrated Valentine’s Day and were expected to spend $18.2 billion (according to the National Retail Federation) and 27.2% of the surveyed planned to buy their gifts online. Online gift shops will compete for every dollar this year as well, so the fasted sites with lower downtime will have bigger advantage. For 11th year in a row, WebSitePulse will monitor 7 of the most popular gift websites. 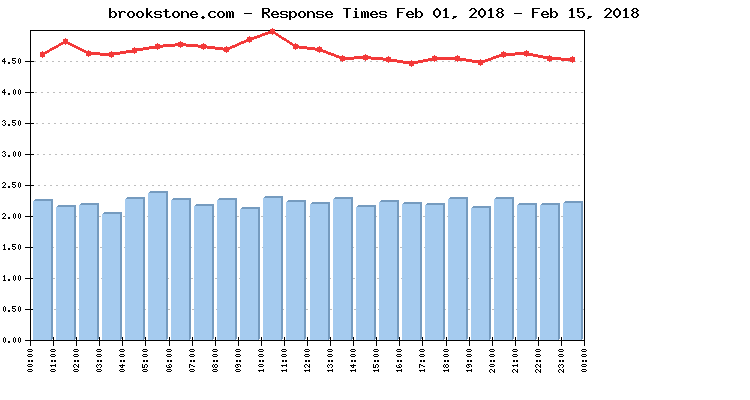 This Performance Reports will measure the websites’ uptime and response time as the most important metrics for the availability and the reliability of any web store. Measurements of web transactions will be made every 15 minutes, simultaneously from 3 different monitoring locations. In-depth analytical information is also collected and stored in the WebSitePulse system for future references. 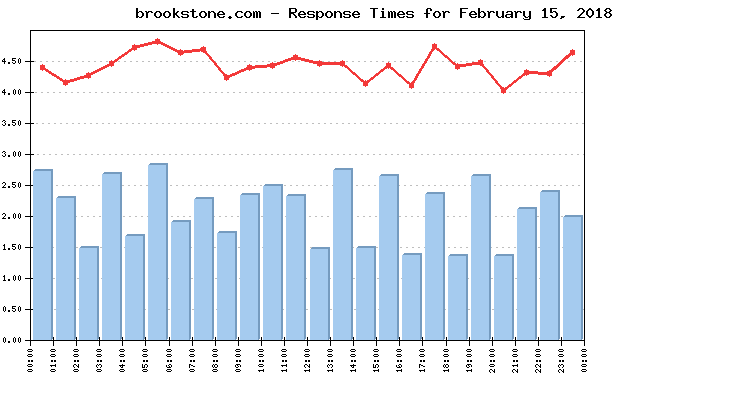 The daily Average Response time from all monitored websites was 4.434 sec. The Average Response time as measured from the US East Coast (Washington DC) was: 4.238 sec. The Average Response time as measured from the US West Coast (San Francisco, CA) was: 4.882 sec. The Average Response time as measured from the US Central was (Chicago, IL): 4.183 sec. The Best Response time measured from US East Coast (Washington DC): 1.225 sec. The Best Response time measured from US West Coast (San Francisco, CA): 2.791 sec. The Best Response time measured from US Central was (Chicago, IL): 1.714 sec. The typical shopping transaction took the least time for pagoda.com visitors - 1.929 sec., while the visitors of ftd.com had to be the most patient, as the shopping transaction there took in average of 9.730 sec. 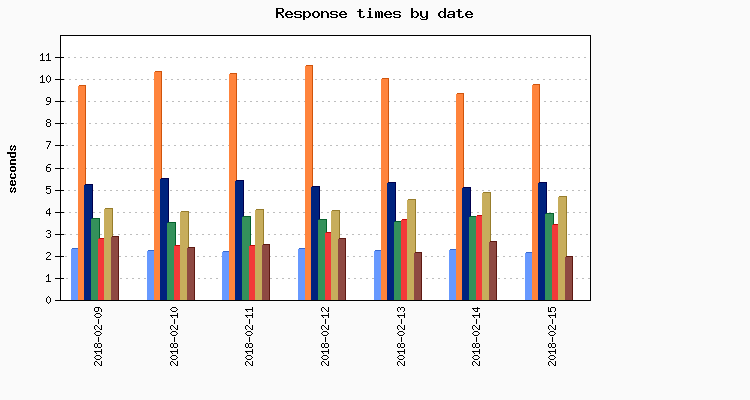 Three of the monitored websites delivered above-the-average response times for their transactions, while four of them demonstrated below-the-average daily performance. The daily average uptime for the entire Group was 99.99%. No events of particular importance or possible negative impact on the online visitors' interaction with the Websites included into the 2018 Valentine's day report were detected during the reported period, and according to WebSitePulse, the Group delivered the expected levels of End-User experience and Customer satisfaction. The 2018 Valentine's Day Reports reflect a complete fullpage web transaction, representative for the End Users' interactions with a website. The reporting period covers the dates between February 1st and February 15th, 2018. Performance and availability measurements are made for a typical multi-step web transaction at 15 minute monitoring interval, every day 24/7. The WebSitePulse application monitoring service is used to collect data and to create the reports.